Well the news of the all new Xcom Enemy Unknown game really has excited us to the point of we could not wait to get to the preview session we had been invited to and after this preview of the game our hopes and expectations of this game has trebled as it is completely revolutionary and like no other game of this kind we have seen so far. What makes this game different to all the rest is the completely riveting story line which takes gamers on a whole new style of mission based challenges which are unlike anything else we have ever seen. After watching the game in flow flow the main thing we noticed was just how smooth the game play is throughout as it runs beautifully in conjuction with the pin point graphics to deliver one of the best gaming experiences we have had to date. This truly is a great game that well deserves the perfect rating we have given it and all we can say to you is you do not want to miss out on this one as it will blow your socks off. 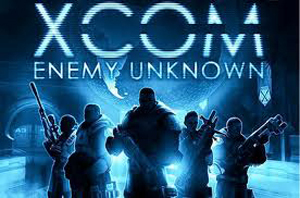 We have compiled a Rating System for this, of which Xcom Enemy Unknown is Rated as Five Stars, the highest possible score from the Game Review Team.